Would you like to go into business for yourself, but finding it difficult choosing the right business to start? That’s not an uncommon dilemma. A lot of people have a burning desire to start a business, but run into an obstacle in deciding exactly what that business might be. If this describes you, you should use your life, your abilities, and your preferences as the starting point. Look at everything he have going on in life, and figure out what you think might work best for you. The easiest choice for starting any business is to continue the work that you are doing on your current job, but to convert it to self-employment. This could include becoming an independent contractor, or simply applying your job from a retail standpoint to multiple clients in the industry. In most respects this will also be the lowest risk way to choose a business .You’re choosing a line of work that you are already engaged in, and simply changing the way what you go about it. Not only will you continue using the skills that you have been employing in your work all along, but it is also likely that you will be working with many of the same clients and vendors within the industry. This will give you a built-in advantage. The specific skills that you have may not necessarily be those a you’re using in your current occupation. If you have such skills outside your job this can be an opportunity for you to start your own business. You can literally build your business around a skill set. It could be that you have a day job as an accountant, but you’re very adept when it comes to troubleshooting computers. Since there is a strong retail demand for troubleshooting computers, this could be a business that you pursue as a side venture, then build up until you are ready to go full-time. Not all passions are readily convertible into a business venture, or even have the potential to generate income at all. But if you do have a passion that could be converted into an income, it could be the most natural fit of all. No matter what you do in your job – or have done in any job up to this point – if you have a strong passion to do something else, there’s a very good likelihood that you will make more money at that business than your job. The marriage of passion and skills is a winning combination in the marketplace. As an example, you could have a job as a teacher, but have a passion for public speaking. You might use that passion to pitch products for companies, to conduct training seminars, or even to work in some aspect of the convention business. The fact that you have been a teacher up to this point – standing and lecturing before classrooms – represents a solid foundation for a professional speaking business. Sometimes you have a hobby or an activity that you’re already doing for personal reasons, that could be converted to a business. Continuing on the professional speaking theme, and good friend of mine used to speak for charity groups and even in certain schools. He did that for many years simply because he enjoyed it. But as he was coming to the obvious end of a previous career – one that he been in most of his life – he came to a point where he had to make a decision as to what his next career move would be. With limited options in the job market, he turned to his hobby – public speaking. Despite the fact that he had participated in hundreds of speaking engagements, he had never been paid for any of them. It was time to turn that around, and he did. Today he speaks at universities across the country, and always at a substantial fee. The practice that he got doing all those freebie speaking sessions, enabled him to convert the practice into a new career. He simply had to find different types of potential clients, sharpen his message and start searching for speaking engagements. If there is a hobby or activity that you engage in on a regular basis, you may be able to do something similar and convert it to a paying business, even though you’ve never earned money doing it in the past. 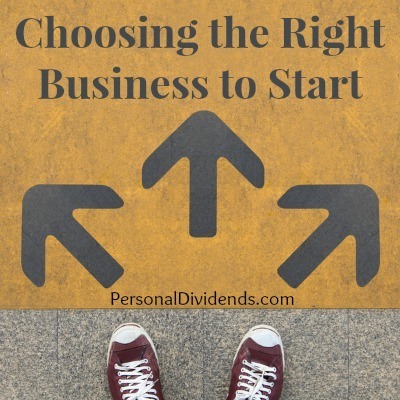 Are you contemplating starting a business? Do you know what that business will be?